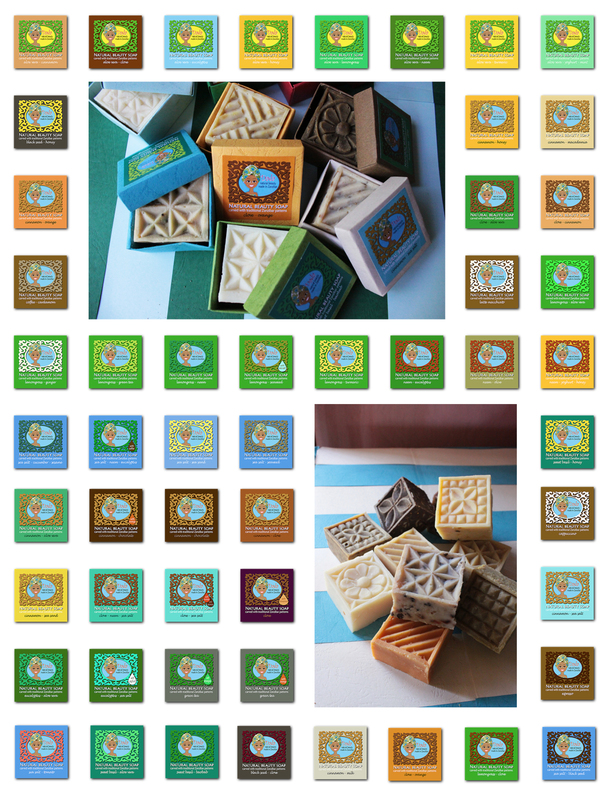 Dada Beauty Soaps are ornamental soaps inspired by Zanzibar door patterns. Made with palm oil and caring oils such as sunflower, sweet almond, macadamia, olive, baobab, or coconut oil, they remoisturize with a superfat factor of 5% to 8%. Ground herbs, spices, cocoa, coffee, seaweed or sea salt, and natural essential oils, featuring island scents such as clove, cinnamon, sweet basil, lemongrass, and eucalyptus give the soaps wonderful textures and leave the skin clean and gently scented. Ningependa sana kupata sabuni zenu huku Nairobi. Inawezekanaje? Do you export to countries like South Africa? Please specify products and quantity. I am in the UK ..can I order some soaps please? I’m in Matemwe until Monday is there any chance that I could buy some of your products? please excuse our late reply, unfortunately too late.